Coming up for 50 years now, the founder of Karndean, Michael Walker, began searching for business ideas that would enable him to make it in the world. He was already successful but he was yearning for something more. He wasn’t interested in selling other brands designs. He wanted to make his own mark. He decided he wanted to make change the whole industry forever. Mike, as he was also known, wanted to change the vinyl flooring industry for the better. His vision was to make flooring more than just practical. It was to be beautiful and enhance the look of the home. He travelled the world looking for something that could bring his vision to reality. He saw many vinyl flooring products that you see today at Allfloors Glasgow. He created a product that was unique, a floor that was personal and custom made, he created Karndean. He created a fantastic flooring concept through endless combinations of planks, tiles, borders and design strips. 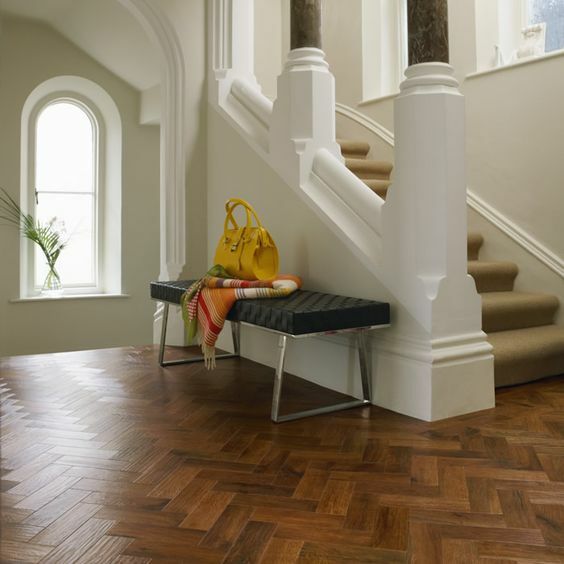 Karndean is a kind of rags to riches story. Mike worked out of his truck for well over 20 years until he moved his business into a small house in 1992. Karndean definitely grew from humble beginnings with only a small number of employees and their dog, Smokey who can be seen on the brands’ logo to this day. As the 90’s drew in, Fleur Walker, Mike’s daughter began to drive the business forward in partnership with her brother, Chris. They would sell, sell sell. Approaching flooring retailers all over the UK, pitching Karndean, which was the breakthrough method for the company. These retailers were as buoyant and excited as Chris and Fleur about welcoming this new customisable flooring product onto their shelves. 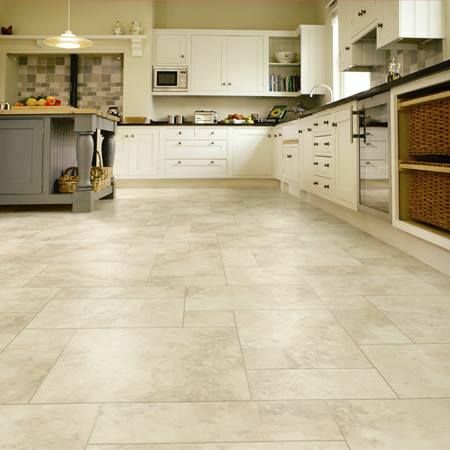 At Allfloors, we’re proud to be the city’s number one retailer for Karndean flooring Glasgow. Many employees, who still work for the company today have fond memories of these early years. Creating innovative, unique and exciting designs is the Karndean ethos. Since the early days, the company has been people focused. The ethos is not just about creating innovative designs, it’s about providing an exceptional flooring product that’s affordable, practical, efficient and eye catching. And year after year, they’ve been able to achieve this. One of the main reasons that we supply Karndean is our trust in the product. Karndean has conducted hours of research over the years to ensure that the product is of the highest quality. The product is unique, gorgeous and designed like no other flooring product. The flooring solutions are created with pure virgin PVC so every surface looks authentic. Once installed, nobody can tell the difference hardwood and Karndean. Karndean should only be installed by experts such as ourselves. It’s not an easy install and it can be quite complex in places. It’s not a DIY job. It works in every room in the home, whether that’s a high footfall area like the hall or the bathroom. For all your Karndean needs please get in touch via the contact form. This entry was posted in All Floors Glasgow on August 20, 2016 by admin.